I just wanted to say a BIG THANKS for your FMP postings on the web. I constantly have questions, I google for the answer, and one of your pages pops up! You rock! PS Know of any good FMP hosting services? Preferably one that will give my client a non-profit discount. Thank you for the kind words about my FileMaker postings. It is always nice to hear! I’ve used a number of FileMaker hosting companies in the past. Some of them a client is using for their database and I just do the FileMaker work. In other cases, I have a more active role in the administration of them. 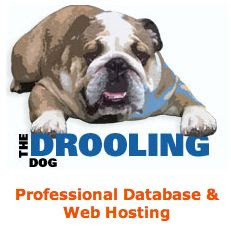 I haven’t had a bad experience with any of the more prominent ones but my favorite is thedroolingdog.com. Prices are very competitive and he has a 30 day trial offer. Older PostDYK: You can tear off toolbars?